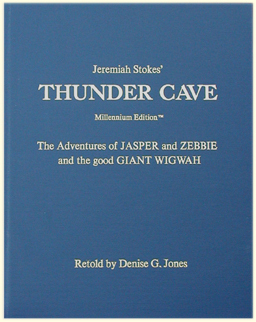 The Millennium EditionTM of Jeremiah Stokes' THUNDER CAVE: The Adventures of JASPER and ZEBBIE and the good GIANT WIGWAH (retold by Denise G. Jones, from the original 1932 and revised 1945 editions, using Jeremiah Stokes' same quaint wording and literary style. Featured in the Utah Spirit magazine, July 1, 2005 issue. Coming in 2014 . . .
! Click here for more information ! Add your name to the e-mail notification list. Just put "Ken Jones Music" in the subject line and watch for a reply! and is available only through KitkoohTM Publications. Jeremiah Stokes' same quaint wording and literary style. *Special price for libraries and senior citizens 60+: $25.00 (or near 60). (Libraries, include tax exempt number and completed tax form TC-721 [Rev. 10/03]). NOTE: All printings are Limited Editions. Costs and shipping methods appear on order form. Purchasers living in Utah who can arrange to pick theirs up will save themselves the S&H cost. Pick-up can be arranged by e-mail or by phone (only if email is unavailable, please). Orders are shipped any day but Sunday if they are received in time for the mail. Otherwise shipment is made the next business day. Though orders generally arrive sooner, please allow two to four weeks for delivery. (Please type "Thunder Cave order form" in the subject line). Payments without an order form cannot be processed. Print the order form, fill it out, and mail with your payment to the address on the form, or pay by credit card through PayPal as described above. First edition dimensions: 10 7/8 in. tall, 8 3/8 in. wide, 1 3/8 in. thick. and Format Consultant for Kitkooh Publications. 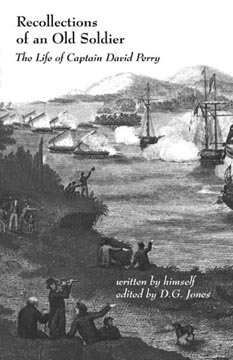 The Millennium EditionTM of Jeremiah Stokes' Thunder Cave is a combined edition (with computer-restored illustrations), using the original 1932 and revised 1945 editions, and as such required some alteration, editing and rewriting. The result is an new, a slightly more modern edition in keeping with Stokes� and Sears� intent (as expressed in the 1932 "Preface and Dedication" and the "Publisher's Note"). Those who have read the original or revised editions years ago, may notice no other difference than that the story �flows� better than they remembered. They couldn't put it down! 4) to make it listener-and-reader-friendly for today, while maintaining the flavor, and integrity of Jeremiah Stokes� original work. Feedback is appreciated, and may be posted. 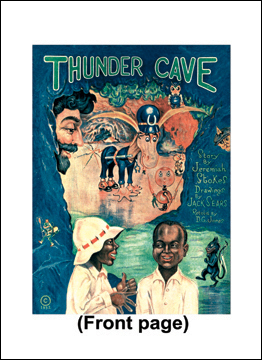 THUNDER CAVE: Original 1932 and revised 1945 editions by Jeremiah Stokes, Jr. Original artwork from the illustrations by Jack Sears (John S. Sears). Thunder Cave Copyright © 1932 by Thunder Cave Corporation, New York City, NY. Thunder Cave Copyright © 1945 by Thunder Cave Corporation. Printed by Bookcraft, SLC. Thunder Cave Millennium EditionTM Copyright © 2001 by D.G. Jones, Centerville, UT. All rights to changes, modifications, new material, etc., reserved. First printing, October 16, 2001. >>> CLICK HERE to add your name to the mailing list. can contact you. It is not a newsletter. No one but the "list administrator" can view either your name or e-mail address. Or e-mail kitkooh@xmission.com and request that your name be added. Please put "David Perry" in the subject line. If you would like to be notified by post card, click here to e-mail your name and address. Please excuse delay due to setbacks in chronic illness. Thank you for your patience. excerpts, including Perry's near-death experience, and his admonition to future generations. Projected cover, 2014 Edition, size 5.5" x 8.5"
Format Consultant for Kitkooh Publications. 4th Great Grandson of Capt. David Perry. Add your name to the Mailing List. Just put "NameSongs" in the subject line and watch for a reply! Just put "Christmas Joy" in the subject line and watch for a reply! * The mailing list will be used for no other purpose than updates on availability and purchase details. There is no obligation to buy. Copyright © 2000-2013 by Denise G. Jones, a.k.a. Allaine Kitkooh. Web Site authored & created by Denise G. Jones, a.k.a. Allaine Kitkooh. The copyright to all goods offered through this site belongs to the author, composer and/or editor of the same. All rights to Web Site material, compilations & products sold are reserved (unless another copyright holder is specified). Images on, and the goods sold or otherwise distributed through, this site may NOT be duplicated without first obtaining written permission from the copyright holder -- and then, only on a limited basis. They may not be duplicated for profit or any other commercial purpose, or for any kind of multiple distribution including the internet. KitkoohTM K.I.T.K.O.O.H.TM and kitkoohTM (or any other form, or its expanded acronym as published by this site) are trademarks belonging to Kenneth (Ken) Jones and/or Denise G. Jones. All rights reserved. NameSongTM, NameSongsTM and namesongTM (or any form thereof, including the method of their generation) are trademarks belonging to Denise G. Jones and/or Kenneth (Ken) Jones (K. Jubal Jones). © 1975 by Denise G. Jones. All rights reserved. Please! do NOT modify the text or images; nor quote from this site without complete acknowledgment, including the copyright and/or trademark data. For permission, write to Denise Jones or Kenneth Jones at Kitkooh Publications. For address click here. Allaine & Lloyd Kitkooh are pseudonyms for Denise G. Jones and Kenneth Jones. For information or permission requests, write to Denise G. Jones or Kenneth Jones (or Allaine or Lloyd) at Kitkooh Publications. For address, click here. CREDITS. This Web Site was created and prepared using the following trademarked software: Corel WordPerfect, Arts & Letters Express, Print Shop Ensemble Deluxe, MasterClips Library by IMSI, Adobe PHOTOSHOP, and Elizabeth Castro's HTML4 for the World Wide Web. Thanks to JoBarta for HTML help and to the New Forum Publishers' excellent Beyond Books: American History site, for layout example. Cover from Thunder Cave by John S. (Jack) Sears. Thunder Cave Millennium EditionTM Copyright © 2001 by Denise G. Jones, Centerville, UT. K.I.T.K.O.O.H.TM © 1995 by Kenneth (Ken) Jones. All rights reserved. "Knowledge is the key, our only hope." © 1995 by by Kenneth (Ken) Jones. All rights reserved. Source: Chapter 3 Verse 6 of The Great Directive © 1995 by Ken Jones, quoted in "K.I.T.K.O.O.H," The Complete Writings of Ken Jones, Volume I, pp 1-16. © 1995 by Ken Jones. All rights reserved. NameSong © 1975 by Denise G. Jones. All rights reserved. Source: First Book of NameSongs: Piano Solos by Denise G. Jones, M.Mus. © 1975 by Denise G. Jones. All rights reserved. This site was created on 29 February 2000. © 2000-2013 by Denise G. Jones (a.k.a. Allaine Kitkooh). All rights reserved.